In order for blood to flow properly through the body, healthy veins are necessary. But through heredity and age, as well as standing for long periods of time, blood begins to pool in the feet, ankles or calves, causing the formation of varicose veins, spider veins and other issues. One way to prevent or counteract the appearance of your veins is to increase or adjust the vitamins that you consume, which typically involves nutritional changes. 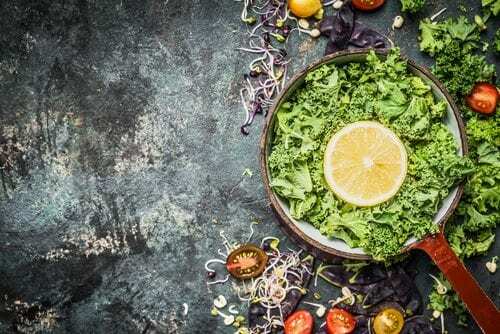 Raw foods are one dietary element that have been proven to significantly impact vein issues, and with a change in diet, your varicose veins may begin to vanish. Although receiving treatment at Canada Vein Clinics can remedy vein issues with painless outpatient procedures, being proactive about your health can make additional treatment more effective. Why Do Raw Foods Work? A raw food diet essentially limits your caloric intake. Since excess body weight can be attributed to various vein conditions, consuming fewer calories will decrease the onset of many health concerns. Additionally, the consumption of certain vitamins and minerals can strengthen your veins and eliminate aesthetic problems. Ingesting vitamin C, for instance, helps your body create elastin and collagen which aids in keeping your veins strong. Combine vitamin C with vitamin E, and you will have more pronounced results. Fiber is another element present in many plant-based foods, which helps keep us regular when digested. Constipation has been shown to increase the appearance of varicose veins over time since the blockage places more pressure on the body. Overall, these are but a few of the vitamins and minerals that help fight vein conditions, and all of them are present in greater quantities when eaten raw. Blueberries have a high concentration of anthocyanin, which complement the amount of collagen already in the body and fight against destructive enzymes. Avocados are high in both vitamin C and vitamin E, making veins and arteries stronger. Avocados also have the highest concentration of glutathione, which is a molecule that ensures the functionality of the vitamins you have consumed. Beets contain betacyanin—a compound that works to reduce the amount of amino acids in the body that cause damage to blood vessels. Asparagus helps strengthen the veins and capillaries in the body and prevents them from rupturing. Ginger has been proven to improve blood circulation and aid in digestion. It also has the ability to dissolve fibrin, which is protein formed when blood beings to clot. It’s true that maintaining a raw food diet is a challenge, but a rewarding one that will improve your appearance and general health if successful. However, learning how to cook new meals, spending money on organic foods and being more selective about the foods you consume can make the diet hard to keep up with. If you find the diet to be unrealistic for your lifestyle, or even if the diet has worked for you, but you still notice veins on the skin’s surface, Canada Vein Clinics offers treatments like Endovenous Laser Therapy (ELVT), ClariVein treatment, sclerotherapy and others to eliminate vein conditions. Not only do our treatments target the cosmetic effects that stem from conditions like spider veins or varicose veins, but we work to treat the medical condition causing these issues. If you would like more information about the treatments we provide, or to schedule a consultation with Canada Vein Clinics, give us a call at 1-888-876-8346.